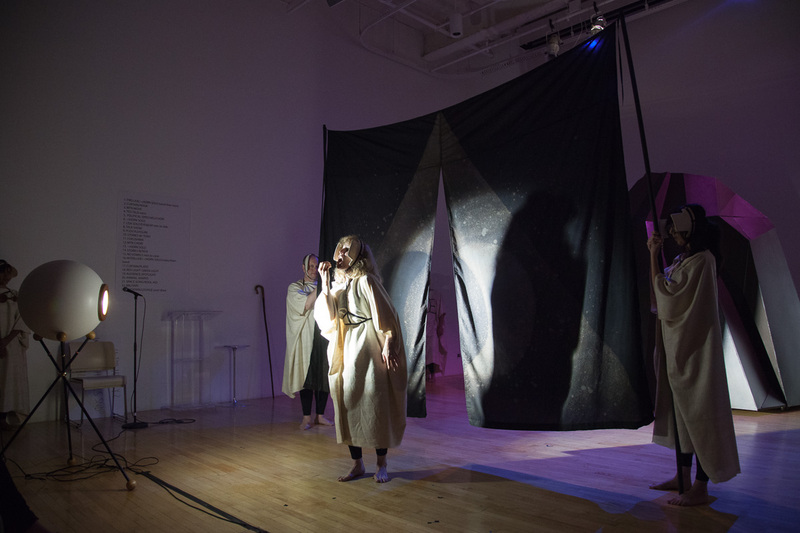 New York-based artist Jeanine Oleson incorporates photography, performance, film, video, sound, and installation into her work, which has explored themes such as audience, language, spirituality, memory, music, and alienation. Oleson often works collaboratively and much of the conversation during the development of a project seeps into the finished work, offering the viewer a glimpse into the artist’s thought process. The resulting work often has a wry sense of humor belying Oleson’s intellectual rigor. 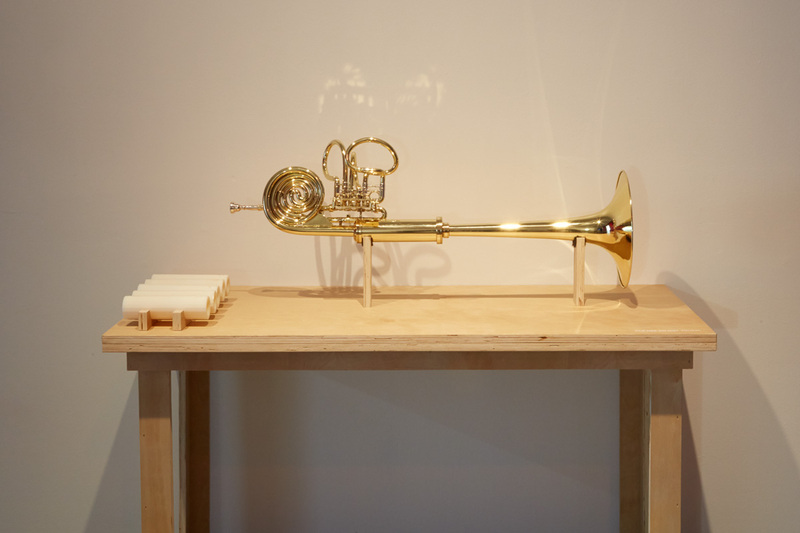 As part of her residency at the Hammer, she and collaborators rehearsed for a new performance piece featuring a specially commissioned hand-blown glass “breath-lung” antechamber for a wind instrument that took place at the Hammer Museum on October 20 and 27 as part of In Real Life: Studio. She also worked on a project that was exhibited in her Hammer Projects exhibition, which opened in May 2017. Jeanine Oleson attended the School of the Art Institute of Chicago and Rutgers University, New Brunswick, New Jersey. 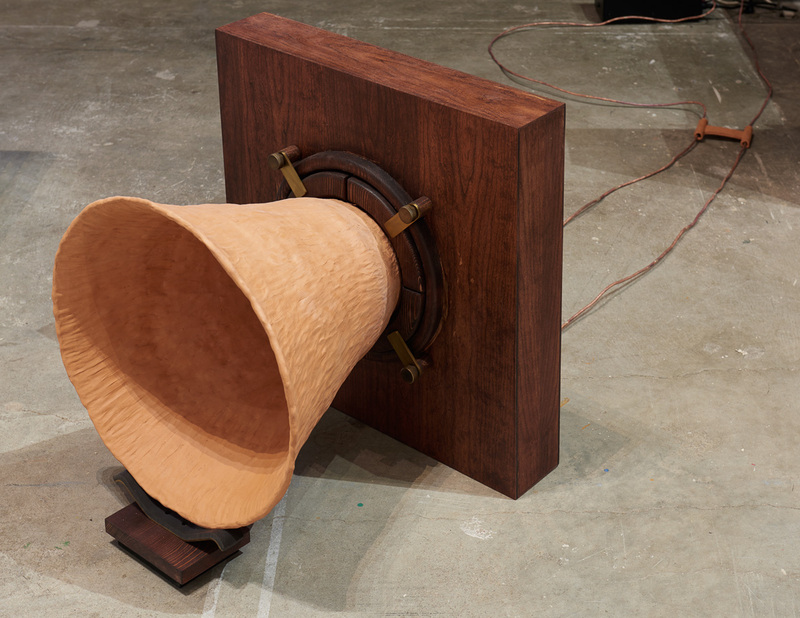 Oleson’s work has been shown in numerous venues including SculptureCenter, New York (2016); New Museum, New York (2014); Exit Art, New York (2012); Beta-Local, San Juan, Puerto Rico (2011); X-Initiative, New York (2010); Grand Arts, Kansas City, Missouri (2010); Socrates Sculpture Park, Queens, New York (2009); Los Angeles Contemporary Exhibitions, Los Angeles (2007); H&R Block Artspace, Kansas City Art Institute, Missouri (2006); MoMA PS1, Queens, New York (2010 and 2001); Pump House Gallery, London (2005); White Columns, New York (2000); and Art in General, New York (2004, 2001, and 2000). Grants and awards include Rema Hort Mann Artist Community Engagement Grant (2016); Creative Capitol grant (2015), Franklin Furnace Fellowship (2009), Jerome Foundation Travel and Study Grant (2009), Brooklyn Arts Council Community Arts Regrant (2008 and 2009), and Professional Development Fellowship from College Art Association, (1999-2000). She has also participated in residencies at Macdowell Colony, Peterborough, New Hampshire; Skowhegan School of Painting and Sculpture, Maine; Smack Mellon Studio Program, New York; and BOFFO Fire Island, New York. Oleson is an Assistant Professor of Photography at Parsons School of Design, New York.